throughout this walking tour of our most famous burial ground. 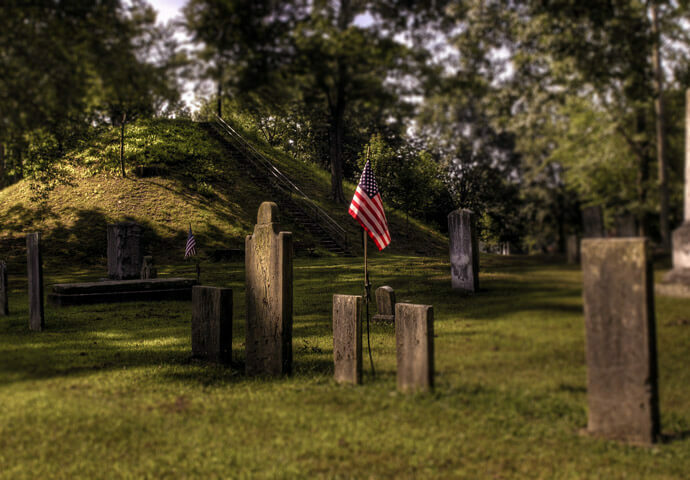 Mound Cemetery was established in 1801 by Marietta city founders in order to preserve the Great Mound (also known as Conus), a prehistoric Adena burial mound. The cemetery has more American Revolutionary War officers buried in it than any other cemetery in the country. Rufus Putnam and Benjamin Tupper, who founded the Ohio Company of Associates are buried in Mound Cemetery.